Blooming Where Planted: Oh, Hail No! Well, Friday was the day. 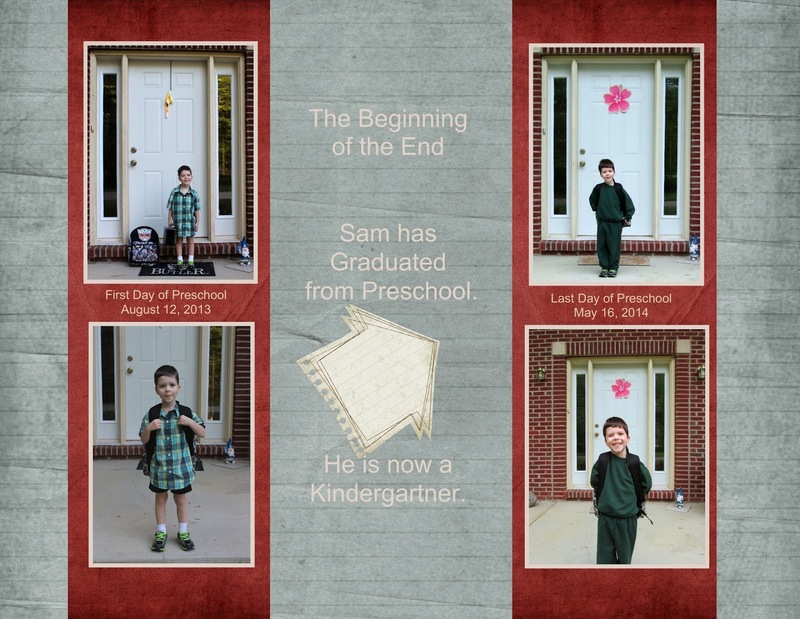 Sam's last day of preschool. I feel bittersweet about the whole thing. I'm so proud of him, and excited that he's growing. But I'll miss the friends he's made, the teachers he's had. We really were Blessed at sending him to this school. I kind of can't wait to send Jacob there too. But one crazy step at a time. Sam and his teachers Mrs. D and Mrs. Y on the last day. He was very smiley, happy, and pumped up. At first I was sad, but seeing him so happy, I managed not to cry. He was so happy. They'd had a wonderful day. Apparently, it was quite a party, at least indoors. As we were leaving though, we got hit with a hailstorm. When I put Jake in the car, he had hail in his hair. We waited until it passed before leaving the church parking lot. We still managed though to hit 3 hail pocket pop up storms on the way to meet daddy for lunch at Applebee's. Sam requested carrots, and macaroni and cheese for lunch. In theory, we could have done that at home, but we wanted to treat him out for his special last day. I couldn't believe it was hailing outside though. Although, I also can't believe I have a kindergartner now either. While the hail fell, we just hung out in the car for a few minutes, can you see the white line of hail on the roof of the church? It was falling all over us and the car. Can you believe I have a kindergartner? Oh, Hail No!